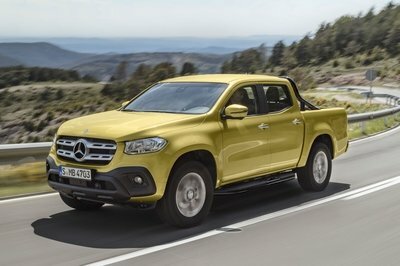 The vast majority of truck-related headlines these days have something to do with all-new models debuting, aluminum body panels, or V-6 diesel engines. Yet in the background, the Toyota Tundra quietly soldiers on in its unassuming way, making do with a mild refresh that came in 2014. Behind the slight changes is the same truck that debuted in 2007. So what’s that mean for the Tundra? Is it even relevant these days? Glad you asked. On paper, the Tundra seems like the sixth mutt in a five-dog fight. It doesn’t have a swanky new turbocharged engine, alternative metals in its body, or the highest trailering capacity. It’s not the newest or most technologically advanced pickup by any means. However, after spending a week behind the wheel, none of that matters. Yep, despite its lack of headline-grabbing do-dads and gismos, the Tundra does what it does in typical Toyota fashion. It simply works. Jumping into the cab and starting its 5.7-liter V-8 (that’s a 350 cubic-inch for all your old-school cats), slipping its six-speed auto into Drive, and accelerating down the road sends vibes of traditionalism through the spine. It’s hard to explain, but the Tundra just feels content with its lot in life. 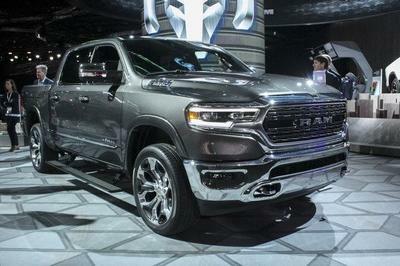 It lets Chevy, Ford, Ram, GMC, and Nissan battle it out for who’s the biggest and baddest, while it smugly props itself against the wall, feet crossed and cigarette in hand, watching the fight go down. Now of course, I’m not advocating Toyota let the Tundra roll off into the sunset with nary an update, but rather that driving the Tundra in isolation for a week, reveals the truck’s hidden strengths and driving pleasure. Let’s take a look at what I mean. 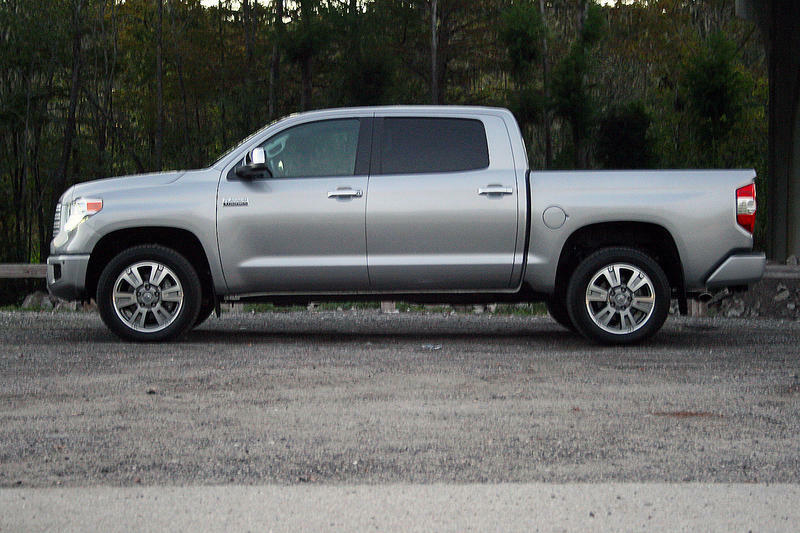 The Tundra’s 2014 update brought a more squared-off appearance to its 2007-2013 shape. Still, the roundedness is evident in a few areas, namely the cab section. Otherwise, the truck is a chiseled, sharp looking vehicle with a squared-off jaw and slight five-o-clock shadow. The tailgate features some awesome stamping, with a crisp line along the lower potion, a hard lip along the top, and the Tundra logo stamped along the right side. My tester came fitted with the range-topping Platinum Edition, meaning it had nearly every available option inside and all the extra chrome bits outside. The grille, wheels, and badging are all unique to the Platinum Edition, helping it stand out from the SR, SR5, Limited, and TRD Pro trims. Now Toyota does offer the 1794 Edition, complete with a more Texan cowboy feel, but both Platinum and 1794 share the same starting price. It comes down to picking what style of luxury you want: urban or western. The Platinum obviously takes the city-slicker approach. 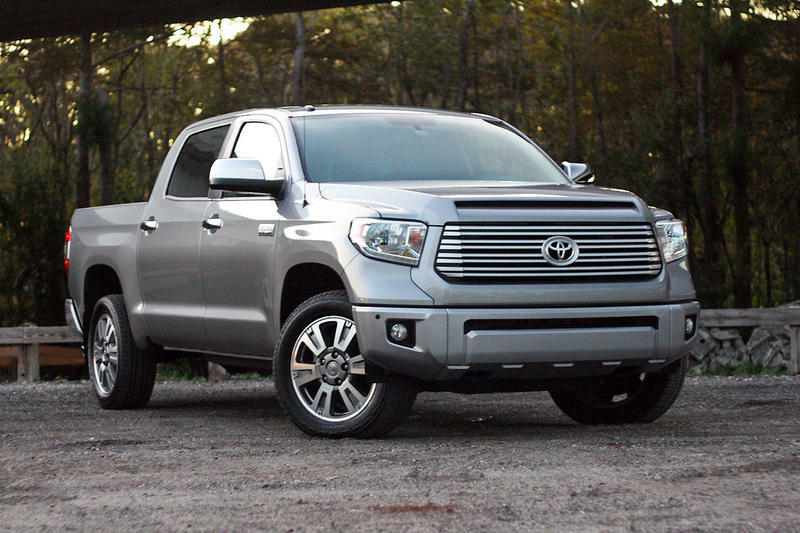 Despite its luxuriousness, the Platinum Edition still has all the functional features found in Tundra lineup. 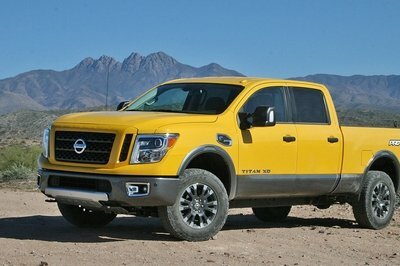 Front tow hooks, tall ground clearance, mud flaps, a two-inch trailer hitch receiver, both four- and seven-pin wiring connectors, an assisted tailgate that’s easy to operate, and plenty of tie-downs inside the bed, including the movable cleats along the top of the bed sidewalls. A spray-in bed liner is available for the truck, though my tester came only with a thick rubber bed mat. Regardless, the pickup box is ready for work. That’s echoed in the rest of the truck, as well. Both bumpers are comprised of three separate sections, making replacement of damaged panels a snap. The headlights can be adjusted from inside the cab to compensate for rear-end squat with a heavy load. 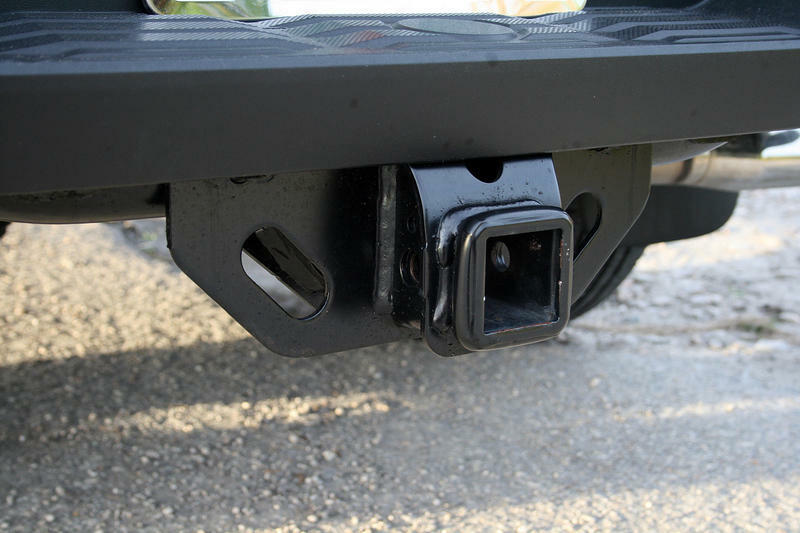 Even the fame-mounted receiver hitch is impressive, looking like one of the strongest in the half-ton segment. 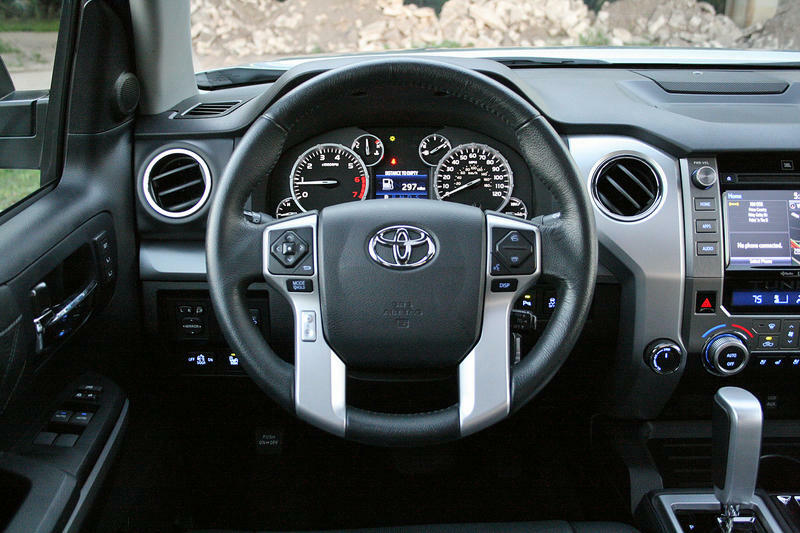 Overall, the Tundra does impress, though it takes a careful eye to appreciate the detailing. 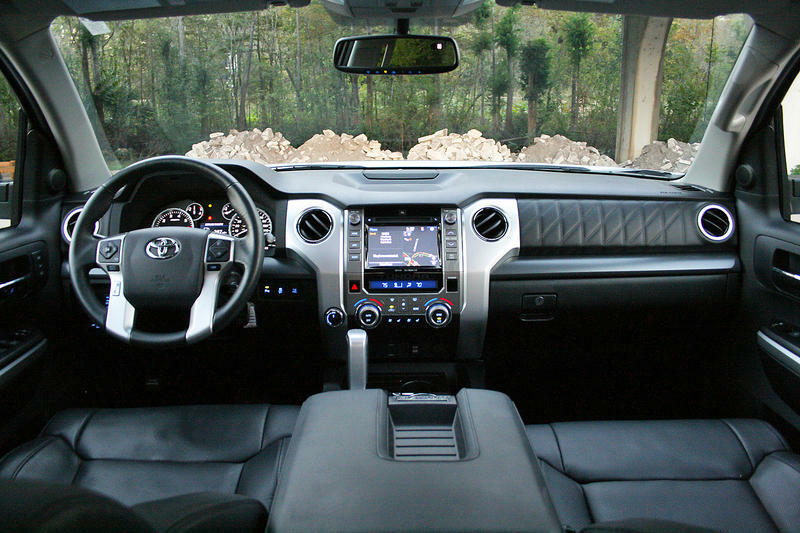 The Tundra’s interior is much like the outside; it’s not the newest for flashiest, but it gets the job done well. The Platinum Edition brings several eye-catching upgrades to the truck. 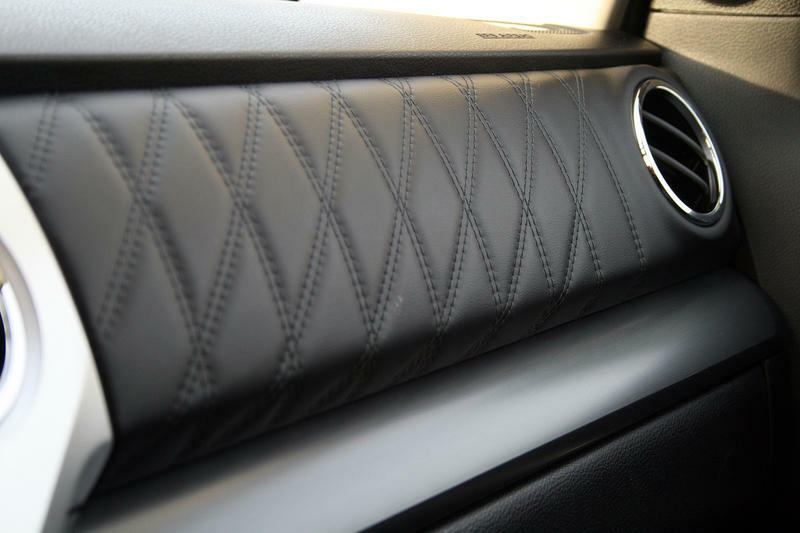 Quilted leather can be found along the dashboard, door panels, and seatbacks. Automatic and dual zone climate control is standard, as are heated seats. Toyota has thankfully included two air vents for rear seat passengers, so rear comfort is good, even on the hot summer days. It would be nice if Toyota included some USB ports back here, making it easier for passengers to charge their devices. 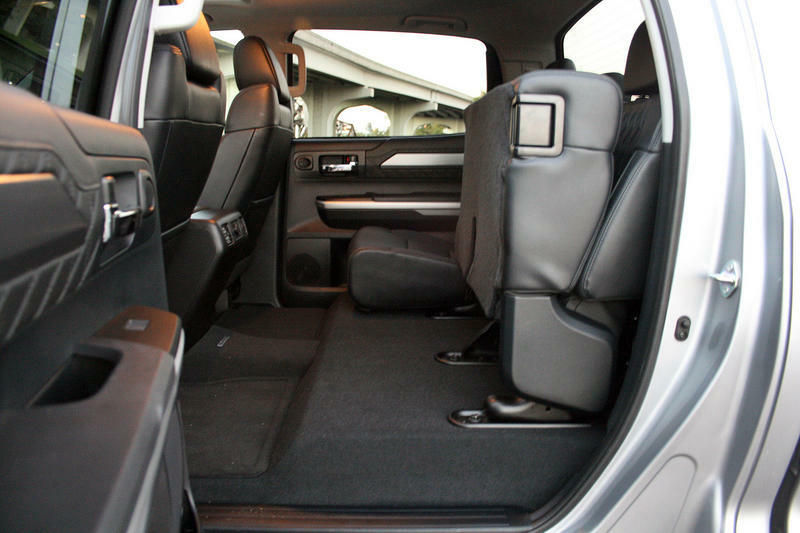 Speaking of rear seat comfort, the Tundra’s Crew Max cab has legroom galore. It’s also got head and shoulder room in spades. A folding center armrest adds even more to the comfort level. My daughter’s car seat fits with tons of room to spare. It would be nice if Toyota included some USB ports back here, making it easier for passengers to charge their devices. There is a 12-volt pug, however. A simple lever release allows the seat bottoms to fold upwards, opening up the floor for storage. The floor isn’t completely flat, but it works for holding most things, including a flat-screen TV. The comfort continues up front. The seats are comfortable, though start feeling flat on long drives. The padded center armrest happily holds elbows, while the storage space underneath gladly accepts hanging file folders or other odds and ends. The center console has a slew of cup holders and storage bins, making the truck easy to live with. Behind the wheel, the drive has easy access to the controls on the center stack. The Entune infotainment system works well, but looks a bit dated. The HVAC system is easy to operate and cools the cabin off quickly. The main gauge cluster is easy to read thanks to the white-on-black design and legible fonts. Best of all, the speedometer counts by 10, making it very easy to check speed. The center TFT display is on the small size, and doesn’t offer much in the way of configurability, but it does have several menu pages to scroll through. Overall, functionality abounds within the cabin. 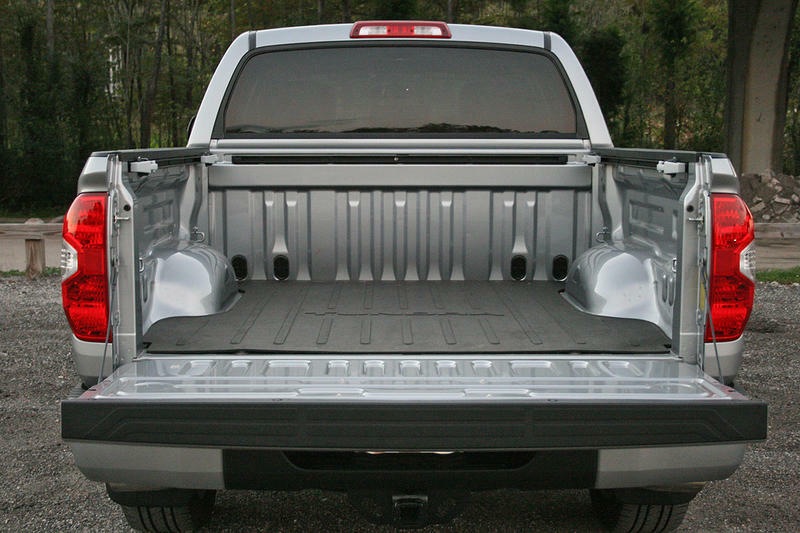 The truck is easy to live with and offers plenty of storage spots and comfort for all five passengers. 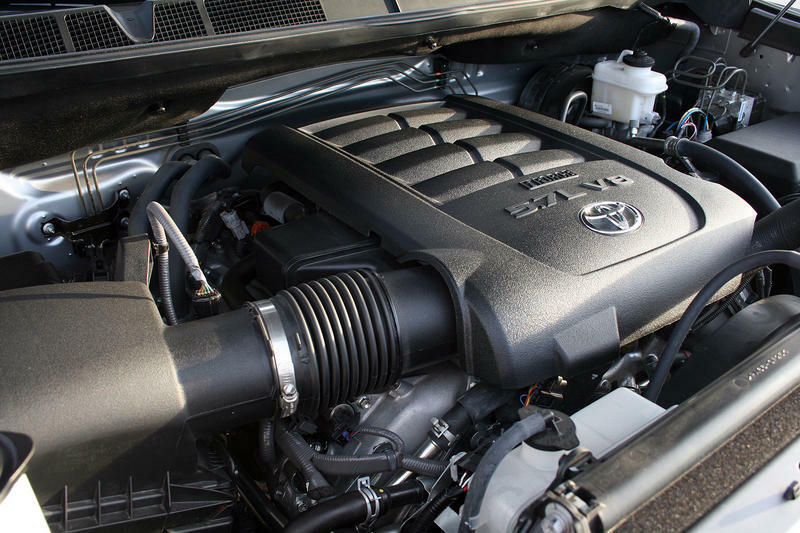 The old-school feel continues under the hood, with the Tundra coming powered by the 5.7-liter iForce V-8. It makes a respectable 381 horsepower and 401 pound-feet of torque. The engine isn’t the newest or most sophisticated engine in the half-ton truck segment, but it gets the job done with power to spare. The engine does have variable valve timing on its dual overhead cams, each operating four valves per cylinder. The engine isn’t the newest or most sophisticated engine in the half-ton truck segment, but it gets the job done with power to spare. The engine is mated to a six-speed automatic transmission. The gearbox offers manual shifting, along with a Tow/Haul mode with different shift points. My tester came fitted with the part-time 4WD system, as well. The transfer case is electronically controlled via a dash-mounted dial, offering both high and low ranges in 4WD mode. As a trio, the engine, transmission, and transfer case work very well together. Around town, the transmission offers up smooth shifts with little interruption in power delivery. The big V-8 has plenty of torque down low, helping keep revs down. In the dirt, the transfer case shifts quickly into and out of 4WD. 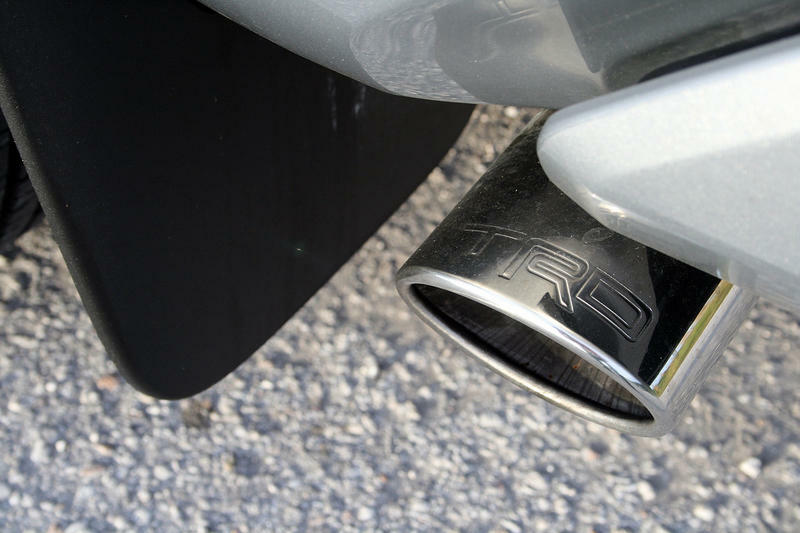 But perhaps the most enjoyable aspect of the drivetrain is the optional TRD dual exhaust fitted to my tester. For an extra $1,100, the cat-back exhaust makes the truck sound like a muscle car. Heavy amounts of throttle result in a bellowing of deep rumbles that would many any gearhead happy. Under low throttle, the system is quiet enough to not tick off your neighbors, but burbly enough to sound good at the drive-through. At highway speeds, the exhaust doesn’t drone particularly loud, but you can certainly hear it inside the cab. For me, the TRD exhaust is a no-brainer option. The iForce V-8 has plenty of grunt, but it does suffer when it comes to fuel economy. The EPA rates the truck at 13 mpg city, 17 mpg highway, and 15 mpg combined. During my time with the truck, I averaged 14.6 mpg. 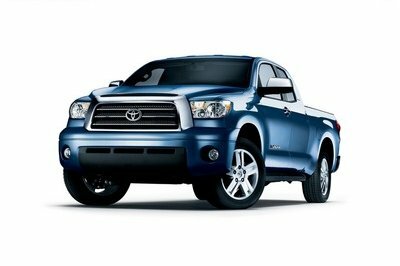 The Tundra is a large truck and driving it brings on a sense of power. The V-8’s grunt and volume only add to that feeling. 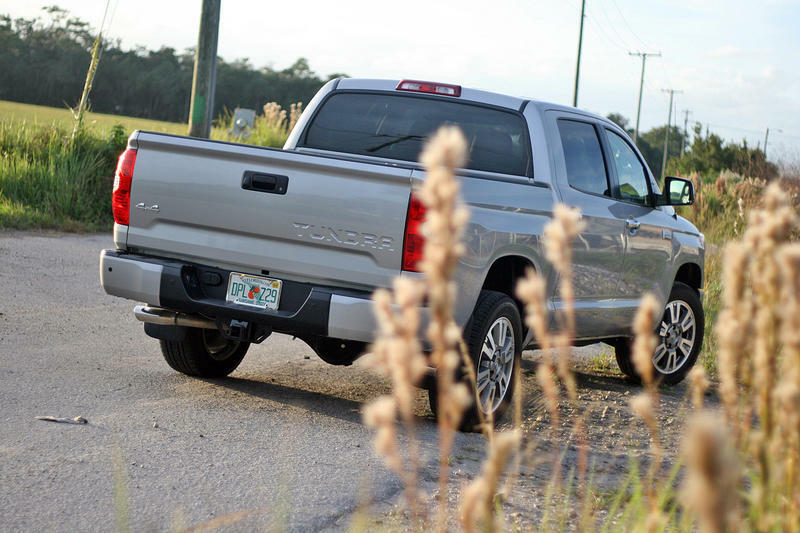 It’s macho-ness aside, the Tundra is a decent driver. Its steering has a nice weight to it without being overly heavy. The on-center feel is good with only a tiny bit of play. The brakes are typical Toyota, being easy to operate and linear in their operation. The throttle is easy to modulate, with no sudden tip-in point. Outward visibility is good, though the hood is long, leaving me wishing for a front-mounted camera. Toyota has done a good job tuning the suspension, especially the rear leaf springs, to offer a comfortable ride. Toyota has done a good job tuning the suspension, especially the rear leaf springs, to offer a comfortable ride. Bumps and rough pavement doesn’t seem to upset the rear end, lending more confidence to the driver. Though I didn’t get a chance to haul or tow anything with this tester, I have towed a substantial load with the 2014 Tundra back for its national launch. The truck handled the 10,000-pound Airstream travel trailer with ease and didn’t show signs of excessive suspension squat. The Tundra does lack a built-in trailer brake controller, though. All that aside, it’s the seat-of-the-pants driving experience that makes the Tundra what it is. It’s more fun to pilot than its on-paper stats would suggest. It isn’t the newest truck on the market, but it’s that certain old-school feel that makes it special. It doesn’t feel drug down by fancy gadgets or high-end do-dads that don’t belong on a pickup. It’s simply an honest truck that happens to have a rather nice interior. The base Tundra in SR trim can be had for $28,640. The next level up, the SR5 offers more convenience features and the upgrade appearance package for $32,150. Opt for the Limited, and the price jumps to $41,220. Then there’s the off-road ready TRD Pro with a starting price of $42,445. At the top of the range sit the Platinum and 1794 Editions. Both have a starting price of $49,080 and come standard with the 5.7-liter V-8 (rather than the standard 4.6-liter V-8) and a very long list of features normally found on the options list. Even more features come unique to the Platinum and 1794 Editions, like the quilted leather on the dash and seats. My tester came with a few options, including the TRD dual exhaust. They included the Blind Spot Monitoring system ($500), bed mat ($139), and remote engine start ($499). A destination fee of $1,100 is tacked on as well. All told, my tester stickered at $51,353. The Silverado is similar to the Tundra in that it has this honest, old-school feel to it. Sure, it has a fully-boxed steel frame, a high-strength steel body, and an engine that can run on half of its cylinders to save fuel, but the Chevy is still a truck to its core. The Chevy does offer quite a few more convenience features than the Tundra, like tons of USB ports, a 110-volt plug-in on the dash, a larger TFT screen in the gauge cluster, and its clever MyLink infotainment system. The Silverado’s most common engine is the 5.3-liter EcoTec3 V-8. Putting out 355 horsepower and 383 pound-feet of torque, the small-block Chevy falls short to the Tundra’s 5.7-liter V-8, but is still one of the most legendary engines in the industry. 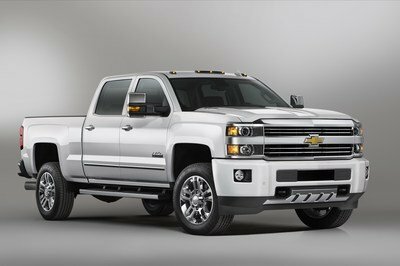 Pricing for a competitive Silverado, the High Country, starts at nearly $53,000, quite a jump from the Tundra Platinum Edition. 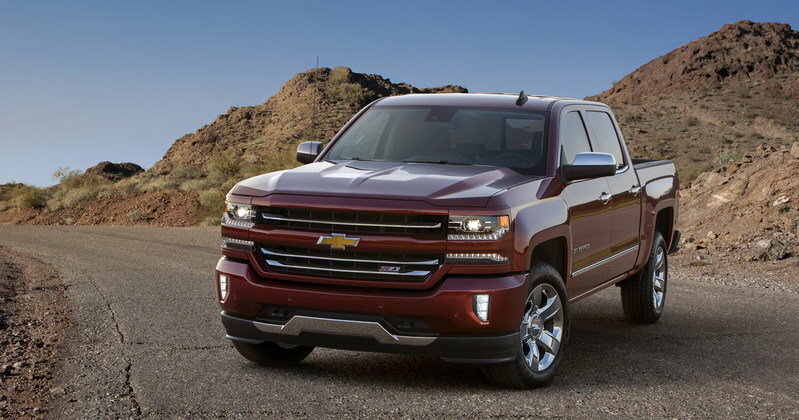 Read our full review on the Chevrolet Silverado here. Ford has taken a high-tech and new-age approach to the F-150. It sports an aluminum body, a high-strength steel frame, tons of active safety features, and an engine lineup that relies on small-displacement, turbocharged engines. Sure, you can still get the 5.0-liter V-8, but the 2.7-liter and 3.5-liter EcoBoost V-6s are far more common. There’s nothing wrong with those engines, but the traditional truck guy might be more apt to buy a V-8. The F-150 comes in a multitude of trims and configurations. 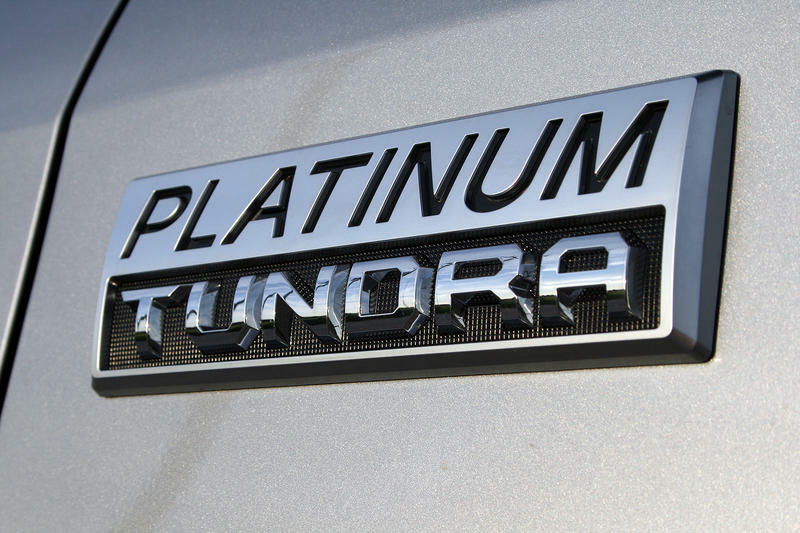 The most evenly matched competitor to the Tundra Platinum is Ford’s own Platinum Edition. Equipped with the Crew Cab, short bed, 4WD, and V-8 engine, the F-150 Platinum has a starting price of $55,535 – well above the Tundra’s price tag. The Ford does offer quite a bit more in-dash and surrounding technology, but not everybody is keen on that sort of stuff. 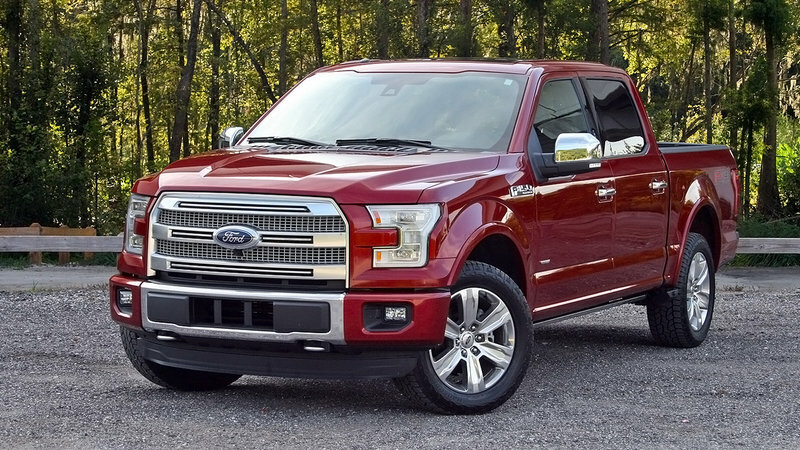 Read our full review on the Ford F-150 here. Again, the Tundra isn’t the latest and greatest pickup on the market. In fact, short of the Nissan Frontier, it’s the oldest design in production. Thankfully its age isn’t an issue for its drivability, powerful V-8, and handsome looks. It’s very likely Toyota has a replacement Tundra in the works, likely debuting by 2018 or so, but the current generation holds its own regardless. The Tundra might be the oldest dog in the fight, but it competes with a well-aged style that is hard to come by.